Escape this summer to beautiful, quiet Southern New Hampshire. 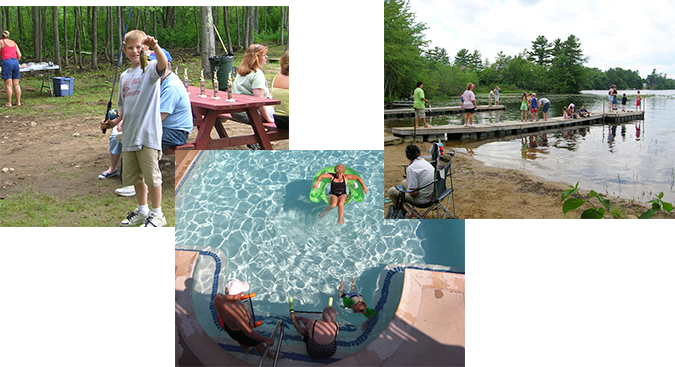 Camp with us at Whispering Pines, where you'll feel like you're at a 4-star resort. We have large, quiet, wooded, clean sites on a 306 Acre Lake and a heated swimming pool. We are located close to the seacoast and a short trip to the mountains.